The islands of Japan are blessed with extraordinarily diversified natural environment because of its location in a vegetation area with abundant rainfall and richly developed forests. Japanese people have identified many medicinal plants and used them in traditional medicine from antiquity, based on natural science methodology and our unique indigenous culture. Such medicines were not only “natural” in their origin, but reflected the result of intense studies and efforts to improve their medicinal effects and reduce toxicity. The National Association for Medicinal Plants was established with an aim to revisit the usefulness of such medicinal plants in modern Japanese society, to foster further research and to promote appropriate uses. * CANNABINOID is an inclusive term for the 104 varieties of physiologically active substances found in the cannabis plant. Our clinical research will be conducted in accordance with the current Cannabis Control Act and we do not endorse recreational use of cannabis. Since ancient times, hemp was deeply rooted in Japan’s traditional culture. Until World War II, it was cultivated as an agricultural crop all over Japan, just like rice. Hemp fiber was used for sacred purposes in Shinto shrines, as “shimenawa” and “oonusa.” “Yokozuna,” meaning a thick shimenawa, was plaited with white hemp fiber and was worn by the highest rank of Sumo wrestlers. Hemp was also used for fishing nets, tatami mats, yukata, mosquito nets, and carry sacks. Hemp reed, what remains of the stalk after the fiber is removed, was used for roof thatch, and the torches that welcomed our ancestors’ spirits and bid them farewell. Hemp is a plant that is closely intertwined with the Japanese way of life. Before World War II, hemp was used medicinally and was listed in the Japanese Pharmacopoeia. Nothing is wasted with this remarkable annual plant; leaves and flowers can be used as medicine, stalks produce fiber and building material, seeds are edible and seed oil can be used as fuel. Up until the 1980’s the focus of cannabis research was on pharmacological studies that aimed to find reasons to prohibit its use. However, advancements in analysis techniques and the biological sciences brought about the discovery of naturally occurring cannabinoids in the human brain in 1990. With the advent of this discovery, medicinal cannabis research started in earnest. Following the legalization of medical cannabis (phytocannabinoid) in California in 1996, many other developed nations are now following suit. Medicinal cannabis works with the endocannabinoid system, a bio-stabilization mechanism inherent in the human body. Medicinal cannabis has few side effects, due to the synergy effect of the large number of compounds present in the cannabis plant. From chronic diseases for which modern allopathic medicine is least effective — in particular, neurodegenerative diseases such as Alzheimer’s Disease and Parkinson’s Disease — to metabolic disorders such as diabetes and hypertension, and immunity disorders such as chronic rheumatism and cancer, there are many conditions whose symptoms can be alleviated resulting in better quality of life. Hence, the introduction of medicinal cannabis will lead to a medical revolution that may enable us to cope with the diseases of our aging society, and support the integration of medicine, social welfare, food and agriculture, and Regional Comprehensive Care Systems. 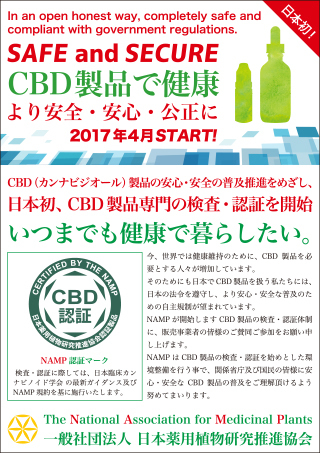 For the past 70 years since World War II, Japanese people have been taught that cannabis is a narcotic drug and harmful to health. In truth, pharmacologically speaking, it is only as harmful as caffeine. 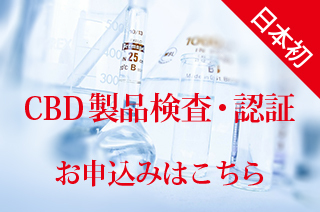 Medicinal cannabis research in Japan has fallen behind the rest of the world by 20 years. By understanding medical benefits of medicinal cannabis and re-introducing it into our society, we will be able to reduce healthcare spending, which accounts for half of Japan’s government expenditure, by 50%, and solve the issue of caring for patients with dementia. Accumulation of clinical data by clinicians is urgently required in order to facilitate public understanding, set up education programs for healthcare professionals and to prove the safety and benefits of medicinal cannabis.